I mentioned in my previous post that my son was taking the promotional test to obtain his yellow belt. When football season ended last May 19, we started focusing on Taekwondo mastering formation 1 and 2, and the self-defense techniques. Ethan also had to memorize basic information on taekwondo that is likely to be asked for the promo test. For 10 days we labored, going to the dojang for whitebelt class Tuesdays and Thurdays and attending mixed belt classes on a Monday, Wednesday and Friday. In the mornings I had to ditch some of my chores to practice self defense or execute the poomse with him, and our bus rides to and from the dojang is when we recite the blocks, kicks, stances, strikes, tenets of taekwondo, meaning of taekwondo, etc. It was a lot of work! But all that hard work paid off when Ethan finally got his YELLOW BELT, hurray!!! The promo test happened yesterday, May 30 (Thursday). Scheduled to start at 2pm, it ended up starting at 3pm. There was heavy rains all morning and most people came in late probably due to traffic. My son and I were the first to arrive at the PTA gym. I registered and paid the fees and waited outside watching each student and parent that arrived. The first to arrive after us was a mom and her teenage son. We chatted casually about the test and she told me that this is not the first time her son showed up for the promo test. She said that they were not properly informed the last time that one needed to register to take the test, thus the failure of not be able to take the test. She also went on telling stories about Milo Best Basketball Clinic which they also took part in at Ateneo. Our chitchatting went on for awhile until some of the other students and their companions started coming in. It was a grueling wait for 3 hour before Grandmaster Hong arrived and the test actually started. In the test proper, the white belts were the first to go. They were grouped into 2 batches and Ethan was lucky to be part of batch 1, the first group to be evaluated. The test is in 4 parts: (1) execution of poomse formation 1 and 2, (2) stance, strike, blocks and kicks execution, (3) self defense 1-5 and (4) question and answer. Like all the other parents, I was eager and excited to see my son perform and capture it on film. I was fairly impressed on the outcome of our hard work together. Ethan was now more confident with his stance and executed every move with speed and power. Even in the Q&A portion, he did well and was even complimented by Grandmaster Hong on how smart he stood in front of him and his loud voice when asked his name and age. I guess that was already enough for Grandmaster Hong as he was not questioned any further, instead, Ethan was told to lead the others is Charyeot! Kyeung-rye! (Attention! Bow!). I was so happy how the test turned out for my son, and was also happy how the other parents complimented his performance during the Q&A. We were told that a certificate will also be given stipulating that the kids took part in this summer sport activity. It still lacks the Grandmaster's signature and would be given later this week or next week. Now that Ethan is a yellow belt, he can now spar with some of his friends in the mixed belt class who are already yellow belts. It is also time for us to canvass his sparring gear which he would be needing later. We are also working on a manageable schedule for him in case he wants to continue to train when classes start. Our family is not too crazy over chocolates. Primarily because my son and I have a mild allergy for chocolates, and second because imported chocolates are very much available in the malls. But when this 5 lb Hershey's was handed to us by a relative from the US as pasalubong, everybody in the household went gaga and wanted to have a picture with it!!! My son has been training for taekwondo for 2 months now, and tomorrow will be his first promotional test in front of the Father of Philippine Taekwondo, Grandmaster Sung Chon Hong at the PTA Central Gym, Rizal Memorial Stadium where my he also trains. We decided to get him into taekwondo to strengthen his kicks for football as suggested by one parent during the Coca Cola Cup. After one year of playing football, Ethan already kicks fairly well but we wanted him to have the speed and power in delivering those kicks. After 2 months of training, the Korean martial art we turned to to support our son's football skills, opened our eyes to the beauty of Taekwondo as a martial art and a form of self defense. In 2 months of training, our son learned Poomse Formation 1 and 2, and five basic self-defense techniques which he is now able to execute. He has also learned 6 basic kicks, 6 stances, 5 basic strikes and 5 basic blocks and a number of Korean terms. One cool things about my son learning taekwondo is that I get to learn myself since I am the one he practices with at home. Another great thing about taekwondo is the self defense part. Given that bullying is prevalent in schools nowadays, it is not bad to know a bit of self defense to protect oneself. Tomorrow, Ethan and his classmates in whitebelt class will execute everything they learned in 2 months. Watch out for my next post to see how things turned out at the promotional test. The Alaska Power Camp Summer Football Festival is the culminating activity of the 2 month long Alaska Football Summer Power Camp. In this festival, all kids get to participate and play against other teams. The number of teams each team has to go against depends on the number of teams formed according to the skill level and age. This is my son's 2nd summer in this football camp, and he was so eager and excited to give out his best this year. Last year, his team also landed the championship gold after Ethan delivered a successful kick during the very tensed penalty shootout. This year, Ethan was picked to play for the yellow team and was happy to be teamed with some of his friends. It was a long hot day but the kids were full of energy and gave a good game for us parents to watch. In a tight squeeze trying to get the ball from 2 red team players. One of the successful kicks that scored a goal for the yellow team. At the end of the day, the yellow team came out as the champion earning gold medals for each member of the team. As an additional surprise to me and my husband, our son was awarded MVP! 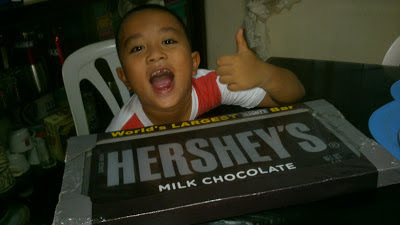 Yehey for Ethan! Not only did he work hard for his team today, he also was a good team player and listened to their coach. Their team deserved the championship because everybody worked hard to get goals and played good defense. During an interview after the awarding ceremonies. One big check on my son's achievement list this summer. Job well done! Prior to the football festival, Ethan was also awarded a silver medal for his performance throughout the camp. A small awarding ceremony was held and selected kids were awarded medals and trophies. By the way, for those out there interested to get their kids into football during schooldays, the First Quarter season of Alaska Power Camp will open on June 4, 2013. It will run for 3 months, from June to August. You can contact Mr. TOMAS LOZANO at 8227584.